A ODI series loss to Pakistan is a very real possibility, but the hosts are banking on a favourable history in deciding matches. A top-class Pakistan team that takes wickets up front and has a powerful top-order batting line-up stands between South Africa and a series win at Newlands on Wednesday, but Proteas captain Faf du Plessis has pointed out that his team have a fine record in bilateral series deciders. They have won on the last five occasions they have gone into the last match of a series on level terms and Du Plessis said there would still be a focus on World Cup preparations even though the rubber is on the line at 2-2 after a severe thrashing in the fourth ODI at the Wanderers last weekend. “We’ve been trying to find out how to play the big games better and every time we’ve had a series decider, this team has stepped up. We’ve been winning those, which is a huge plus. It’s about how you approach the game mentally, we try to make sure we don’t make it into such a big thing that you possibly don’t get the best out of your players. “We try to free them up to express themselves, you don’t want them to see it as a huge game in which they have to play differently somehow. A good example was in Australia in our previous series, when it was 1-1 and we played our best cricket of the tournament in the decider. We obviously would want to win very game, but there’s also the bigger picture of the World Cup and giving guys the opportunity to play,” Du Plessis said. 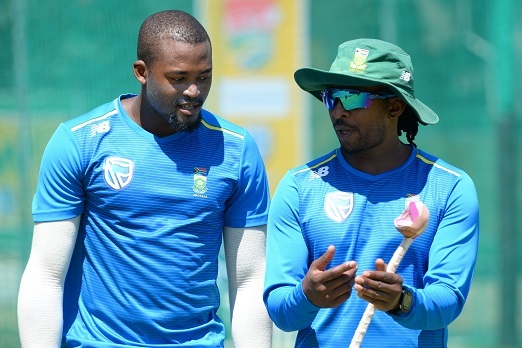 The Proteas skipper acknowledged that they have a selection problem heading into the last game of the series, with the lack of runs pressurising them into picking another all-rounder, but that would be at the expense of an attacking bowler and possibly the early wickets they desperately need. Plus Aiden Markram is hankering for an outing. “It’s not straightforward, if we had the bowling attack we’d like then we can easily go with seven batsmen. But Lungi Ngidi is not here, so then we feel like we need to add more bowling and play two all-rounders. You have to be flexible. If your three fast bowlers are fit, and we bowled Australia out three times with them, then that determines the rest of your team. So we tried the extra bowling option in this series and now we feel the batting is a bit light. “It’s very hard to choose the XI, we’re dancing between the strongest team for tomorrow and looking to the future, especially with all the all-rounders we have. Aiden Markram also hasn’t had an opportunity in this series and that makes our life harder as well. We’re trying to make sure everyone has a fair run, not just one game and then you stop,” Du Plessis said.